Armed Robbery is a Class 2 Felony and carries mandatory 7-21 years in prison under Arizona law. Other penalties include stiff fines, restitution to the victim and more. If you're facing an armed robbery charge, you need a qualified armed robbery attorney like Michael Urbano to help lessen the impact this case will have on you. As an experienced robbery attorney, Michael Urbano understands what the prosecution is going to throw at you. He knows how to find the weaknesses in their case and exploit them to your advantage. He'll negotiate for lesser charges and will work hard to convince the court of your innocence should your case go to trial. At Urbano Attorney and Counselor at Law, we offer a FREE initial consultation for you if you've been charged with robbery. We also have convenient financing available to make it easier for you to get effective representation from a real Phoenix criminal defense attorney and not just a public defender. 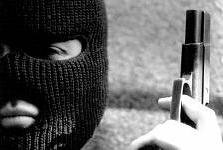 Talk to an Effective Phoenix Armed Robbery Attorney NOW! If you need an armed robbery defense attorney, call day or night. If you prefer, you can contact us by email by clicking here. Your message will be instantly forwarded to your robbery attorney's phone and you'll get a response within minutes.